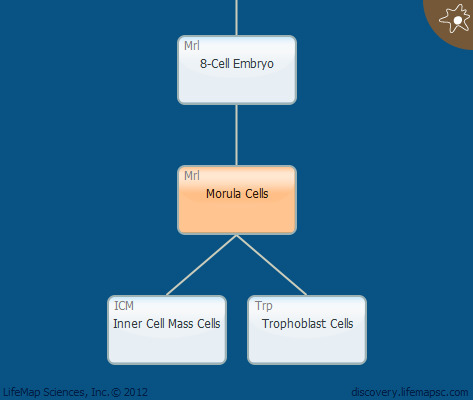 The morula stage is usually defined as the stage in which the embryo consists of 16-32 cells. The compaction process, which begins at the 8-cell stage, continues and results in blastomere segregation to either the center of the morula or the periphery, forming the first clear distinction between inner and outer cell types. This stage is usually formed by day 4 of human development. In the mouse embryo, the morula stage of 16-32 cells occurs between E2.5-3.5 during which time cell divisions and rearrangement to form the blastocoel- lead to the formation of the early blastocyst at E3.5.